Using Excel spreadsheets to track cost and progress for one project is manageable. 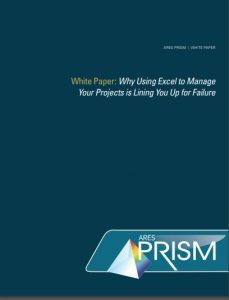 Excel allows project managers to spend time creating colorful reports and checking their data for accuracy. However, for project managers who have more than one project, perhaps even a portfolio of projects, things are far too complicated to leave in the hands of spreadsheets alone. 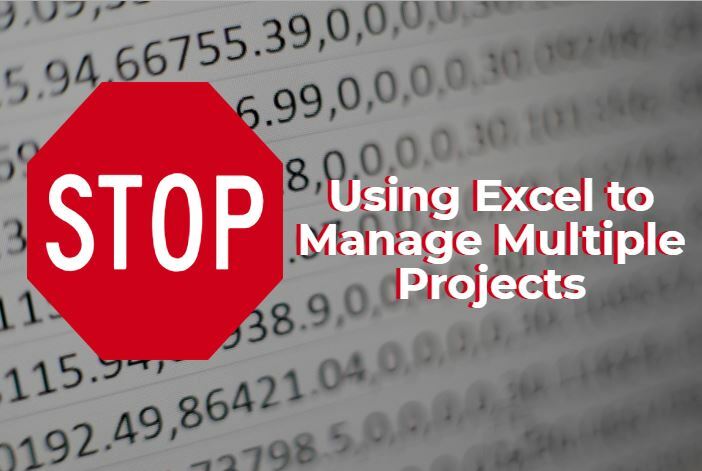 Manipulating massive Excel spreadsheets to manage a portfolio of projects puts those projects at risk. Cutting and pasting from dozens of spreadsheets into one master spreadsheet is a terrifying temporary solution that will inevitably lead to mistakes (as well as headaches from the complexity). Not only is it difficult to manage the constant need to rebuild formulas and check accuracy of data, but additionally, these spreadsheets are not capable of tracking important information like changes. 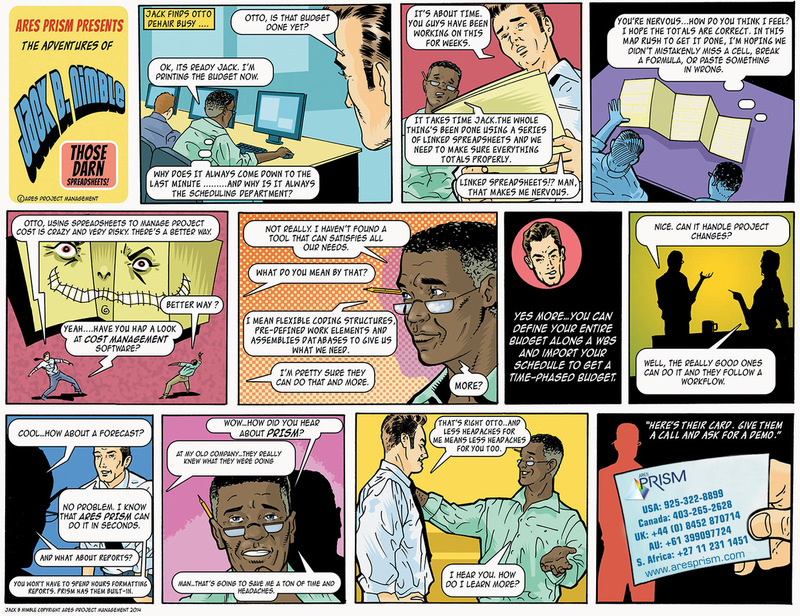 In project management, change management is crucial for accuracy and understanding. Using one system for all project data is the way to combat these spreadsheet problems. A robust project management tool is a solution that saves time and greatly reduces errors, both of which save money. Using an integrated cost management solution, allows project managers to capture all the data from multiple projects and have it automatically consolidated. No more cutting and pasting, dealing with version control, or struggling to track project change information. A side-by-side comparison of Integrated Cost Management Software versus Excel Spreadsheets. Designed specifically to manage capital project costs. User-defined design. Consistent data capture points with data validation. No data validation exposure for human error. Flexible cost worksheets with consistent data fields; allows for altering design to suit while consistently capturing data in every project. Can create a cost worksheet template, but a change will break formulas and provide incorrect data. With consistent data, reports and dashboards can be designed once and deployed across all projects. Reports and chart wizards offer powerful flexibility, but vary from project to project. Robust features like contingency management allow for project risk management. Risk management is not impossible, but the amount of complexity to make these calculations happen in a spreadsheet is unrealistic and requires tedious effort and a lot of time. Spreadsheets are not built to management projects, however cost control software is– it’s built for task management, project management, and even program and portfolio management. Project managers get asked by stakeholders and upper management, “Where is your project?” throughout the project’s lifecycle. They expect an accurate project forecast, and count on it to make critical decisions based upon the progress reported. Do not allow your project managers to be constrained by the common pitfalls and limitations of spreadsheets, when they can be utilizing out-of-the-box reports within integrated project management software. Giving them access to crucial project management tools will allow them to anticipate cost, determine cash flow spending over the next year, and deliver accurate forecasts that they believe in, so you can too.